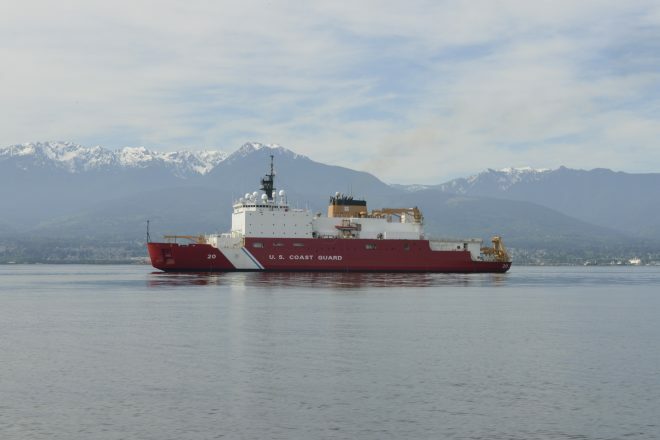 The crew of the Coast Guard Cutter Healy, a 420-foot Medium Icebreaker homeported in Seattle, conducts a shakedown cruise in the Puget Sound in preparation for their Summer trip to the Arctic, May 22, 2017. US Coast Guard photo. Passengers and the crew of CGC Polar Star gather to observe their first encounter with ice during Operation Deep Freeze 2016 in the Southern Ocean Jan. 3, 2016. 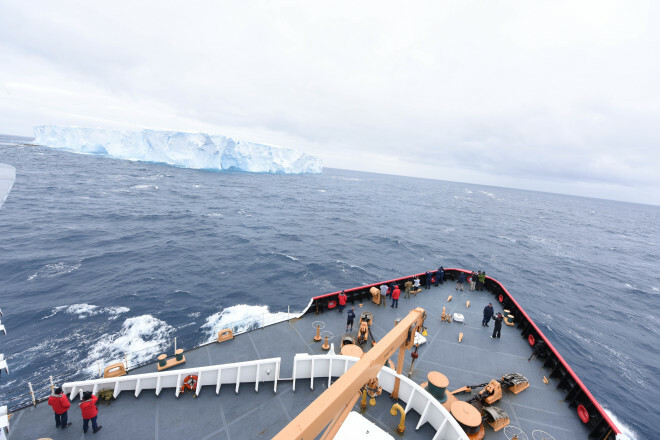 The mission to resupply the National Science Foundation’s McMurdo Station, Antarctica, is one of the most difficult U.S. military peacetime missions due to the harsh environment. US Coast Guard photo.